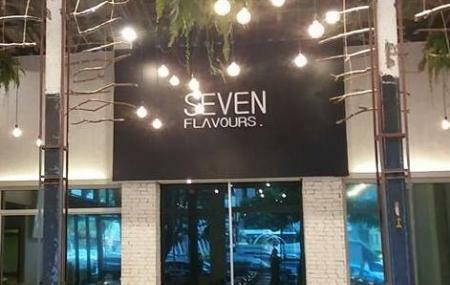 Find hotel near Seven Flavours Steam Seaf .. If you are in Bangkok and looking for connoisseurs and gourmets, head out to Seven Flavours Steam Seafood. A favourite among the locals as well as the visitors, this restaurant serves lip-smacking sea-food. The restaurant interiors are nicely done which only add to the charm of this place. The food served is freshly prepared and you can even walk up to the tank and choose your fish. A must try delicacy here is The Alaska crab and white wine. If you are driving, please note that this restaurant does not have its own parking, and you will be required to park around the block. Top rated Bangkok tours do not include Seven Flavours Steam Seafood in their schedule, you can add it to your plan anyway. Fine Accommodation options like Ibis Bangkok Riverside, Kokotel Bangkok Surawong, Holiday Inn Express Bangkok Sathorn and Marvin Suites will meet your requirement of where to stay in Bangkok. How popular is Seven Flavours Steam Seafood? People normally club together Shinsen Fish Market and Chao Phor Seua while planning their visit to Seven Flavours Steam Seafood. After reading so much review about Seven Flavours we took a Grab to the restaurant. It was after lunch and we had the restaurant to ourselves. All the seafood are live and you can select yourself but we let the staff choose for you. Almost all dishes are steamed. It was refreshing to see the seafood cooked this way-light and healthy. There are multi choices of sauce available to go along with your food. Needless to say the food were delicious. The price were reasonable. This is the restaurant if you want seafood differently from the type available locally. We had a really good meal in Seven Flavours. After looking at the tanks and what was on display, we decided to get the Alaskan King Crab, it was enormous and weighed 2.8kg. They took the Alaskan King Crab to the kitchen and prepared it for cooking by dividing into 3 portions. The legs were brought back to the table to be steamed in front of us and the chef cooked the remaining 2 portions, 2 different ways for us, one way was a curried style and the other was fried. They were all very nice, we also had some steamed scallops, some really nice cabbage and some mushrooms and noodles and of course some coconuts to wash it all down. There was a lot on offer here and I'd like to return to try some more of their fair. Very nice and tasty food for a good price!